Founded in Concord, California in 1999, Mitch Polzak and the Royal Deuces have been entertaining audiences worldwide with their engaging original sound and highly entertaining live stage show. 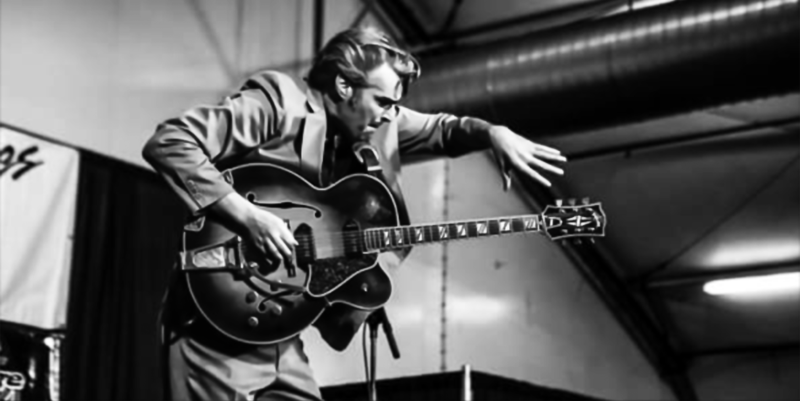 The Hi-Energy 3-piece ensemble performs Rockabilly and Honky Tonk from the late 50s Sun Records Era, with guitar influences from such greats as Merle Travis and Chet Atkins, adding the 5 String Banjo for special highlights in the show. The band has performed at major music festivals and events at the legendary Viva Las Vegas Rock n Roll event in Las Vegas, Hot August Nights in Reno for the Peppermill Casino, The Shake the Shack Festival in Seattle, and many other engagements throughout the US as well as appearances in Holland, Belgium, Germany, and the Czech Republic. Adding to this special event is internationally renowned violinist, Mads Tolling, whom Music Critic Adam Broner calls “…a cross-genre genius!” Originally from Denmark, he won two Grammy Awards for Best Classical Crossover albums and was nominated for a third Grammy in 2014, along with being named Winner of DownBeat Critics Poll Rising Star Awards.